As you enter this Hilltop address this extensively modernised Lockwood home will capture your heart with its style, design, and natural light. 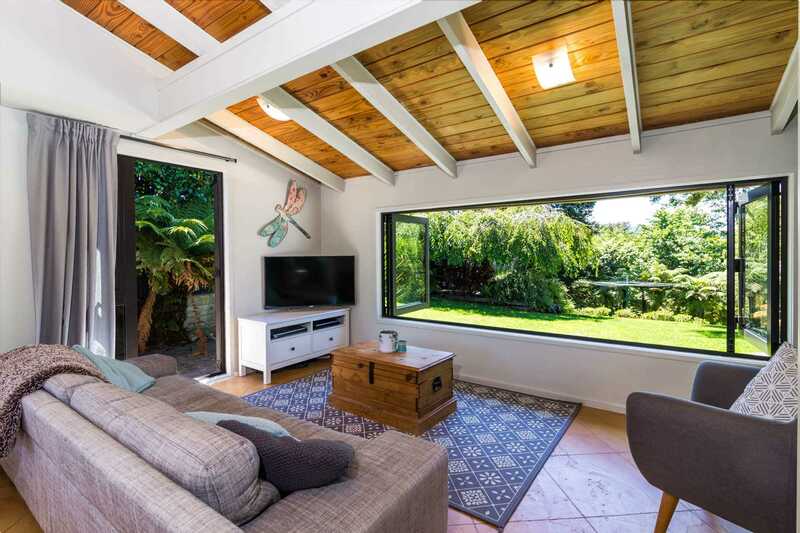 The main living areas are versatile and flow out perfectly to a large deck that overlooks your secret garden where the kids can play after walking home from Hilltop School. The cool factor continues with bifold windows that open out from the kitchen to a private deck, allowing seamless indoor/ outdoor flow and making sure the chef, guests and BBQ Guru can enjoy this amazing entertaining space together. Double Glazing and a Bonaire central heating system are just a few of the features on offer here and will keep you warm through the winter months. Having 2 Living areas and a main bedroom with ensuite, walk in wardrobe and deck access provides an escape for the adults and the other 2 bedrooms plus office complete this family home. Location, Privacy, and character summarises this easy to love address that you and your family will be proud to call home. The vendors have purchased their next step and an early settlement is available for those needing to move fast. To secure this home call Milly to arrange a viewing. Chattels remaining: Blinds, Fixed floor coverings, Light fittings, Stove, Curtains, Drapes, Rangehood, Garden shed (2), Dishwasher, Clothesline, Playhouse, Waste disposal, Gas fire, Infinity gas unit, Central heating, Heated mirror in ensuite.